There are 16 European women’s teams competing at WUCC this year. The women’s division in Europe has become a much more competitive field in the past few years, but the question must now be asked: can the European teams rise up to compete with the rest of the world? The Women’s Division boasts more teams from top countries than the Men’s and Mixed divisions. There are five American teams, four Japanese teams, four Canadian teams, and a few top Colombian and Australian teams that are all considered to be on the elite level. This tournament will be a good test to see if the European powerhouses can stack up against them — or not. Here is a preview of what to expect from the women’s teams from Europe. Let’s be brutally honest: it will be very difficult for a European team to crack into the quarterfinals this year. At the last WUCC in Lecco, the top women’s team, Iceni, placed eleventh, and the field is arguably more competitive this year. However, if any teams have a shot at doing it, Atletico and YAKA are chief amongst them. Finland has, somewhat quietly, boasted some very impressive results in the women’s division in the past few years. Their national team won the last European Ultimate Championship in 2015 over Switzerland in the final. Their top club team, Atletico, are now reigning European champions and low-key vikings. Atletico enjoyed a resurgence on the international scene last year after missing out in 2016. Essi Inkinen leads this team in every sense. She has the throws to get her team out of the gates at pace and the tenacity to help rescue a lost possession. The handler embodies the fighting spirit of Atletico that defines their mindset. In Maija Leino, they have a receiver who’s capable of retrieving discs she has no real right to. Maria Noponen provides the energetic exuberance that comes with being too young to be intimidated by the reputations of the awaiting opposition. The second 18 year old on Atletico, Vappu Reunanen, exemplifies their fearlessness, picking up the MVP at Windmill after an undeniable performance. Atletico hail from Espoo, a small Finnish city, so the squad is tight-knit. Despite this, they have a few pick-ups. Sarah Eklund is a name writ large on European ultimate. Inkinen connected with her time and again during the Eurostars Tour last summer and is looking to continue that trend on their return trip to the States. Through a shared coach, Jason Adams,1 Atletico have also connected with Americans Lizzie Jones2 and Hannah Walter,3 whom Adams coached in college at Northeastern, to further strengthen their core. All three players were in attendance at Windmill, allowing them time to find their place on the squad. That said, they will already have their work cut out for them in pool play, as they will face Revolution (COL) and MUD (JPN), both top level global talents. Just how high is YAKA’s ceiling? The French women’s team just won their 10th straight French title earlier this month, their 11th in total. The team is packed with talent, including top handler Aline Mondiot and their tall Colombian target, Daniela Rodriguez. Look for Aude Richon and Jeanne Della Valle to also make big contributions for this team. They were loaded with enough talent to get a strong 3rd place finish at the EUCF last year but they have been raising lots of eyebrows with the additions they have picked up this year for their WUCC run. Robyn Wiseman is one of the top defenders in the world and will be joining along with two other Madison Heist teammates, Rose Glinka and Anna Williams. Paula Baas, main handler for the Eurostars, is also joining YAKA this year and has made major contributions all season. However, this campaign hasn’t been completely steady so far. At Tom’s Tourney, they suffered a loss to Iceni in power pools before absolutely crushing them in the revenge match in the final. At Windmill, they suffered losses to Atletico, Troubles (POL), and a semifinals loss to Mainzelmädchen (GER). However, if this team can manage to capture their real potential, they may have a slight chance of cracking the quarterfinals. Like Atletico, they have drawn a very difficult pool. They will be tested against Brute Squad (USA), Fusion (CAN), Brilliance (RUS), and Bamboo (COL). There is not a single easy game here and so they will have to start strong early if they want to push further into the tournament. The next tier of teams actually have very little separating them from the top two above. There is a good argument to put them in the same tier, but we will have to see if they can prove it on the field. For one reason or another, this group has left room for more doubt than their more accomplished counterparts. This is probably the first time in a decade at least that London’s Iceni are not placed at the top of the pack among European women’s teams. They were the queens of the continent for a long time, but in the past few years, they have slipped from the top with a bronze medal at the EUCF in 2016 and a silver in 2017. This year, a few key pieces won’t be in the Iceni ranks. Fran Scarampi has defected to Brilliance, Jenna Thompson and Caroline Nicholls can’t make the trip, and Alex Benedict and Anne Maftei sadly suffered injuries in the preseason. A loss in the final of Tom’s Tourney early in the season wasn’t a complete shock, as people had been talking up their opponents, YAKA, but the nature in which they fell was. Iceni are built on consistent excellence, but it seemed a level they couldn’t reach that weekend. The cause of this inconsistency is a reduced roster size this year. It has proven an unexpected challenge for the club. Captains Vanessa Lowe and Karen Kwok have directed their team inwards, focusing on themselves, their personal weaknesses, and strengths to best capitalize on the domestic tournaments they attended. They have also called upon ex-captain and ex-pat Sonia Komenda to bolster their ranks. Further auxiliary support was found in the form of GB U24 player and constant deep threat Leila Denniston. Reprising her role with the club since the 2017 US Open, Eurostar Maya Mileck is more than happy to provide those shots. Iceni are lifted by these additions, but if they are to run deep into Cincinnati, they are going to need to get the very best out of their established players. Jackie Verralls’ steadying downfield presence will be more important than ever, as will Karina Cooper’s consistency with disc in hand. Defensively, Iceni will have their work cut out for them, something Grainne McCarthy and Hannah Boddy have never been afraid of. This season has shown a vulnerability people forgot Iceni could possess. They’ve looked uncertain at times, making what would have been a tournament’s worth of mistakes last season in single games during this one. But they’ve been focusing on themselves in preparation for WUCCs, looking to find their inner Boudica,4 before unleashing that wrath upon the world. Mainzelmädchen shocked everyone by winning a Windmill gold medal in June. No one really expected this strong German side to do that. This result should arguably place them above Atletico and YAKA, who they defeated in bracket play in Amsterdam, but this is the only really outstanding result we have seen from them thus far, so it is still unclear if this was a fluke or a sign that the truly are one of the best teams in Europe. What we do know is that these women are German champions. When asked about who their star players are, they always respond resoundingly that their strength is in their team, not in singular entities. However, this squad does boast some standout talent, primarily Kyoko Hosokawa and Melina Koschnitzki, who led the charge for Mainz at Windmill. Hosokawa is a dynamite playmaker, with a nose for the endzone and the skill to guide an offense. At only 16 years old, Thea Printz, who will be leading the U20 German side in Waterloo this summer, is smooth in possession, looking perfectly at home in the latter stages of Windmill. The closest thing Mainz have to a pick-up is Marie Kerkloh, who has played occasional tournaments with the team before, and is a well of poise from which her teammates gratefully draw. Further steadiness is provided by the international experience of Carolin Janitschke, Kaya Dresing, and Barbara Weil. Like many previous teams listed so far, this team will be facing strong opposition in 6ixers (CAN) and UNO (JPN) in their pool, as well as Troubles. Troubles are another team that may find themselves in the prequarters round looking to fight for the top eight. In 2016, they placed fourth at the EUCF. 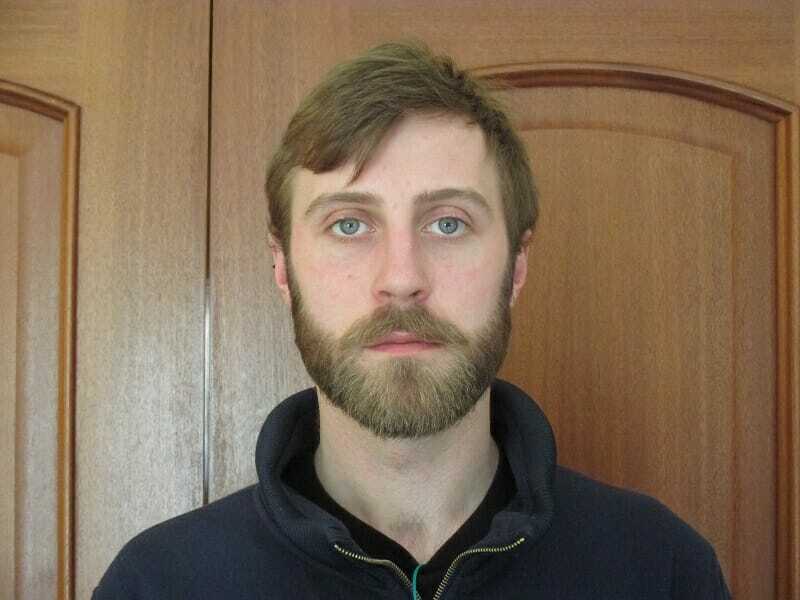 They did have a weaker showing at the EUCF in 2017, but that was likely due to some of their star players being burnt out after competing for the Polish World Games team. Six of the seven World Games female players are on this Troubles squad; look to Sylwia Wróblewska and Katarzyna Podpora to make huge plays for this team. They had a strong fourth place finish at Windmill, which included a 15-11 win over YAKA in Swiss draw and close 15-13 and 15-14 losses to Atletico and YAKA in bracket play. Bucking the trend, they do not have O- and D-lines. Troubles instead prefer to have two equally strong lines that play one after another. The captains and main handlers of these respective lines are Ewa Bańbuła-Dyda and Grażyna Chlebicka. The lines differ a little bit in style of play. You can expect a lot of fast breaks and fast disc movement from Chlebicka’s offence. Flow and hucks form their preferred way to score; you can expect lots of shots from Chlebicka and Joanna Wojciechowska, though the likes of Wróblewska and and solitary junior on the squad, Zofia Bejm, are far from shy too. Bańbuła-Dyda’s line is a little bit more organized for static offense, which depends heavily on their handlers. Bańbuła-Dyda and the other main handler, Aleksandra Marszałek, can dump and swing all day long if needed. Traditionally, their favourite set play is isolation for Aleksandra Dyśko, but unfortunately for the Poles, she is not coming to WUCC. Stepping into this vacancy are Aleksandra Kocbuch, Monika Zaczkowska, and Paulina Dul, with Wróblewska another potential option for the initial cut. It seems that these Polish women are back and focused for their women’s team this year, armed with their experience from the World Games team last year; it is not a squad anyone should take lightly. Brilliance is another team with a lot of question marks. This team boasts much of the talent from the Russian women’s team that won WCBU last year. The Pustovaya sisters, Anna and Sasha, as well as Eurostars Aliza Tizik and Dina Dumonskaia, are enough for any team to deal with, but they have also added on ex-Iceni player Fran Scarampi to the mix. They won Vienna Spring break over YAKA earlier this year, but that French squad was not at full strength. This team may be the most physically fit from Europe and might be the only European squad that has any World Championship gold to their name. They did not make it to the EUCF last year and they were not at either Tom’s or Windmill earlier this year, so recent evidence is hard on the ground, but, on paper, they could still easily be a team to make a splash in Cincinnati. Finally in this tier is CUSB Shout. The top Italian women’s team defeated Iceni back in the EUCF 2016 semifinal. They also got third last year after losing a tight bronze medal match to YAKA. This season, they earned fourth place at Vienna Spring Break in a tight field of European women’s teams. Eurostar Laura Farolfi and their German standout Anna Gerner will be doing a lot of the heavy lifting for this team. In keeping with the Bologna ideals, Shout boasts a number of talented young players. Primary among them is captain Irene Scazzieri, who frequently finds herself making the last completion for Shout. She is joined by Chiara and Elisa Frangipane, fellow U20 alumni from Italy’s 2011 European gold medalists. Leading the defense, Anna Ceschi brings a ferocity to her team’s structure that will prove integral to Shout finishing strong in their pool. They have also added to their chances with pick-ups Adrienne Lemberger and Claire Sharman, both of San Francisco Nightlock. CUSB have always come close to greatness but rarely achieve it outside of Italy. Their group presents an opportunity to set themselves up well for the latter days of the tournament. We, and the sizable horde of fans back in Bologna, are anxious to see what they make of it. Lacking the pedigree of the other top European clubs, a deep bracket run is an unlikely, but not impossible, dream for these squads. They may have the talent, however, to knock someone else off the track. Longstanding titans of Europe, FABulous is inspired by their hometown. The defending European champions limped into EUCF 2017 with some key injuries and were only able to finish tenth. They’ve since recovered and are enjoying having the throwing prowess of Olivia Hauser5 back in their ranks. They learned some hard lessons from the 2017 season, primary among them being the necessity of depth. A major aspect of their approach to this shortcoming is the development of FABuhaft, the first female Swiss second team to attend Nationals. The results are apparent. Hannah Egger is one of Europe’s rising stars, and FABulous frequently relies on her speed and determination for big gains downfield. Azra Avdukic possess wisdom beyond her years and can be frustratingly difficult to predict for opponents. Keeping morale high with her contagious laugh and resistant spirit, Sarina Schenk provides further options for a team looking to vary their targets. In terms of experience, Simone Vogel has the ability to put the disc wherever she wants with an effortless grace, and Melli Neunerdt provides further expansion via her own pristine throws. Close losses at Windmill to Mainzelmädchen and Troubles show that they haven’t fully integrated some of the pick-ups and younger players into their style. Diversifying assets has always been a strength of the Swiss, and when things get tight, they still have their established talent to bank on. One thing to keep an eye on is that they lost to ZUF in the Swiss final this year. Whether this means that FABulous is not as strong as they once were or that ZUF are ascending will have to be proven in Cincinnati. Charlie Bruns leads a team that has dedicated themselves to progressing from these successes. But if you were to ask her, she’d say she’s just one more piece of a collective. Sharing captaining duties are Willemien Van Damme, Janne Ver Eecke, and Ine Lanckriet, whose international experience and on-pitch leadership guide Gentle’s ambition. They are masters of delegation, both on the field and off. The tireless Ella Cromheecke has spent this season whipping her teammates into physical shape, while the unflappable Heleen Gadeyne sharpened their mental resolve. The results have been mixed so far. They were disappointed with their inability to return to the final of Tom’s Tourney, falling in the quarterfinals but enamored by their ability to achieve the same finish at Windmill as entering the tournament with injuries t0 several key players. Miscommunications cost them the final of Cologne to FABulous, something they’ve set about addressing under the tutelage of coach Loda Jans. Two close losses to group mates Atletico at Windmill does make one wonder what a full strength squad can achieve in Ohio. In order to fight their way out of their group, these Gentleladies will have to be anything but. Domestic rivals of FABulous, ZUF earned a spot at Cincinnati by making it to the final of Swiss Nationals in 2017. This season, the Dino’s have shown their teeth by avenging their loss to FABulous on double game point to take home the gold. Only four players from ZUF’s Lecco team are heading to Ohio, leaving Anneli Anderson, Amanda “Wendy” Lobel, Livia Kurer, and Isabella Güttinger to take on the world with a relatively new roster. Linnea Siebert has made a habit of throwing assists, especially when the ravenous Laura Kunzelmann heads for the end zone. As the youngest member of the squad, Alexandra Tutuian delights in disrespecting the more established defensive powers of Europe’s women’s scene. With all this raw energy, ZUF turn to their spirit captain Anika Lünsmann for considered dump cutting, a woman whose private vendetta against gravity leads to many a resuscitated possession. They carry losses to Seagulls, SYC, and Gentleladies this season, which leaves question marks over their ability to get it done on the biggest stage, especially when defenses are able to restrict their dump resets. Despite this, the Glitter Dinos of Zurich are nothing if not eager, and they could take a few chunks out of the higher ranked teams in their pool. The perpetual bridesmaids of UK Ultimate, SYC are a team defined by dedication and inconsistency. They have a reputation for being able to beat, and lose to, anyone on the day. The pursuit of competitive stability has led this squad to building from the ground up, a difficult challenge in London. So far, this season that approach has seen split squads earn fourth and seventh at their first domestic tournament. They also have two more fourth place finishes as a full squad at Tom’s Tourney and their second domestic outing. Club stalwart Alice Dinsdale Young leads a team looking to prove its worth. They have some of Europe’s best downfield cutters in Tessa Bertozzi and Sam Fisk. They can adapt to different scenarios thanks to the hybrid abilities of Eyan Sham and Kinga Rozskowska, either of whom can handle or cut. However, if SYC are to pick up more than one win in their group, they cannot rely exclusively upon their established players; they’re going to have to share their cake. A mainstay of UK ultimate, Nice Bristols will get their second taste of WUCCs this season. Earlier this year, they scored two surprise victories over Iceni in UK Tour 2, which included a decisive win in the final. This marked a huge moment for a club that has always been associated with the upper echelon but hasn’t ever fully committed to each other. Wearing the experience of eight world championships in the last decade under her belt, Jen Hart directs a squad that, for the most part, has been together for several years. The likes of Carla Link, Bailey Melvin-Teng, and Alice Beeching provide the youth and hunger, while veterans Steph Coward and Sarah Garner bring the grit and determination. A well balanced team, Bristols have implemented new defensive looks, but a ninth place finish at Tom’s Tourney raises some concerns about how sharp they are. Should they be able to lock down more on that end of the disc, they could catapult themselves far above their group seeding. Coming from Vienna, Mantis are a recent addition to Europe’s top table. EUCF 2017 proved a harsh lesson for them as they struggled to come to terms with the increased attention of the final, and the pressure which so fatefully accompanies it. This season, they’ve found a home among the powers that be. At Windmill, they finished an acceptable sixth, reassured in their belonging by two double game point losses to YAKA and Gentleladies, the former of which occurred in the quarterfinal round. Player/coach Silke Delafortrie is the glue that holds this team steady in the face of their ever heightening stakes. Julia Schmeisser brings the artillery with huge hucks and the occasional break, though generally that style of creativity is deferred to the audaciously fluid Katharina Meissl. Downfield, Lena Trautmann utilizes her speed and strength to relieve some of the pressure on her handlers. They’ve recruited Sophie Bretschko and Nina Hintner from Catchup Graz for depth, the former graduating to senior level after dominating U17’s with the Austrian national team. They find themselves well stocked in talent, and seem to be settling more with each high level tournament they play. Given their seeding in one of the more open to interpretation pools, we will see just how far close Mantis are to metamorphosis. The Seagulls from Hamburg were a bit of a surprise to qualify for WUCCs last year at German Nationals. However, it is clear that Nicci Prien returning to Hamburg has bolstered the team both in terms of player quality and leadership, helping make something great out of the Gulls. Their results at Tom’s Tourney earlier this year were a bit hit or miss, but that had a lot to do with Prien not being present on the Friday of the tournament, and everyone simply running out of endurance by the end. Furthermore, new addition Levke Walczak (2017 European Youth Player of the Year) was sidelined during the tournament because she was recovering from shoulder surgery. Despite those circumstances, they were able to achieve a sixth place finish. However, they have a very difficult draw and will likely see themselves at fourth place in their strong pool, making it very hard to claw their way into bracket play later in the tournament. That said, they definitely have the best argument of this group to being underranked. KFUM Örebro and Helsinki have both had underwhelming regular seasons. 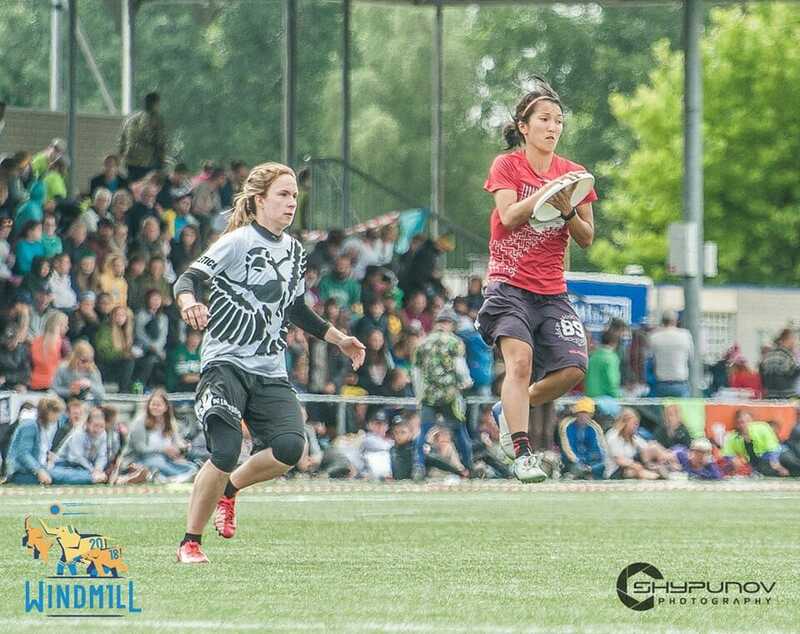 While Helsinki boasted a respectable sixth place finish at the EUCF last year, their ninth place finish at Windmill (the only WUCC team there to miss the bracket) does not inspire confidence in their ability to play at the world’s stage. Örebro also had one major preparation tournament this season in Tom’s Tourney and finished fourteenth, well below other WUCC teams. These two Scandinavian teams will have to find some new magic in Cincinnati if they want to find themselves in the bracket later in the tournament. The Women’s Division in Europe is the most open it’s been in years. When trying to pick a favorite to take the title at EUCF 2018, one can legitimately name eight teams. This is a joyous revelation for fans of the division, but raises one major question: did everyone get better or did the leaders fall off? Cincinnati will provide us with plenty of data to determine just how big the gap between European women and the rest of the world remains. Comments on "WUCC 2018 European Primer: Women’s Division"